Vietnam benchmark VN-Index gained 0.09 percent on July 12 as investors were cautious with the fate of the Vietnam Enterprise Investment Limited Fund due to be decided today. The Dragon Capital’s fund may be dissolved, volatilizing more than US$400 million out of the market. The gauge of 246 companies and four mutual funds listed on the Ho Chi Minh Stock Exchange inched up 0.47 points, or 0.09 percent, to finish at 499.93. Liquidity on the market fell severely, as just 36.9 million shares changed hands at VND1.1 trillion. Of the index, 122 stocks advanced, 65 fell, and 63 remained unchanged. Thanh Cong Textile Garment Investment Trading Joint Stock Company (TCM) was the most active share by volume with 1.82 million shares changing hands. From January 14 to June 30, the Vietnam National Textile and Garment Group, a major shareholder of Thanh Cong Textile Garment Investment Trading Joint Stock Company (TCM), registered to sell 2,461,800 shares but sold just 1,108,330 shares. The rest were not traded due to prices that were lower than expected. Between July 8 and September 8, the company sold 2 million shares to reorganize its investment capital. Société De Bourbon Tay Ninh (SBT) came next with 1.18 million shares, followed by Ha Tien Transport Joint Stock Company (HTV) with more than 851,000 shares traded. Construction company Cuong Thuan Investment Corporation (CTI) advanced 4.99 percent to VND46,300. From July 14 to September 14, Tran Nhu Hoang, chief executive officer of Cuong Thuan Investment Corporation (CTI), registered to buy 300,000 shares, increasing his holdings to 800,000 shares, for personal investment. Hanoi-based Long Giang Investment and Urban Development Joint Stock Company (LGL) gained 4.97 percent to VND35,900. BIDV Securities Company, a major shareholder of Long Giang Investment and Urban Development Joint Stock Company (LGL), registered to buy 800,000 shares and sell 600,000 shares between July 12 and September 10, sending its holdings to 990,012 shares, accounting for 7.07 percent to the company’s chartered capital, restructuring its investment category. Nari Hamico Minerals Joint Stock Company (KSS) and Duc Long Gia Lai Group Joint Stock Company (DLG) added up 4.96 percent to VND63,500 and VND27,500 respectively. Ca Mau Trading Joint Stock Company (CMV) declined 4.85 percent to VND31,400. Seafood producer Vinh Hoan Corporation (VHC) sank 4.65 percent to VND41,000. 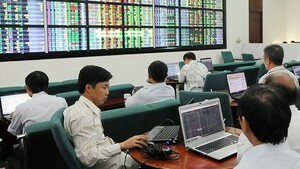 The Hanoi-based HNX-Index rose 1.36 points, or 0.87 percent, to 157.57. 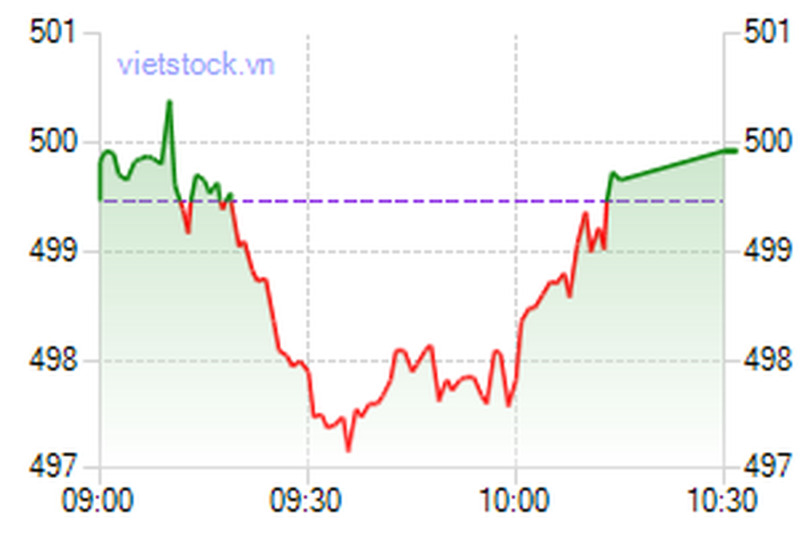 Trading volume significantly dropped to 21.28 million shares, worth VND629.59 billion. The UPCoM-Index fell 0.31 points to 55.68 as of 11 am local time. 491,109 shares were traded, totaling approximately VND9.95 billion.